We've joined forces to deliver better everyday business banking that’ll make managing your money simpler. It’s all about making day-to-day business easier, so accountants and bookkeepers can focus on big-picture concerns, and owners and managers can pursue their passion — building their business. To get started, set up your bank feeds from any of your NAB business accounts in minutes through NAB Internet Banking. 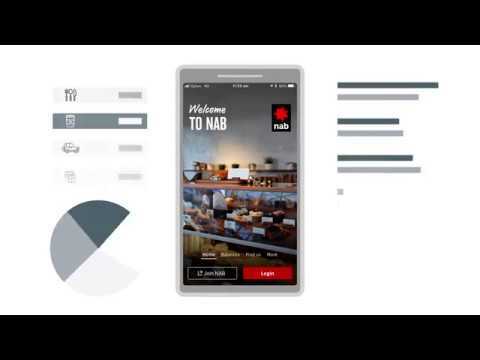 Find out the moment payments arrive with notifications you set up in the NAB app. Then, easily match payments to invoices you’ve already setup in Xero. This new seamless connection will make it easier to see which invoices are outstanding and give you a clearer view of your financial position. Create business payments directly from Xero, and then approve them easily within the NAB app. For the first time, you or your advisor can create payments in Xero and send them directly to the NAB app for approval. So you can focus on your business instead of your books. With easier access to lending, you’ve got peace of mind when you need it the most. A NAB QuickBiz Loan gives you access to a single lump sum for your short-term expansion or cash flow needs. It’s fast, easy and unsecured – which means you aren’t required to make a personal guarantee or put your home up as security. If you’d like to see what Xero can do for you, sign up to a free 30 day trial. Backing our professional services clients with specialists that really understand you – connecting you with the right insights; information, contacts and financial support at the right time. Whether your business is getting started or growing, choosing the right transaction account is important. No matter how you prefer to use your account and make your transactions, we’ve got an option for you. Should you buy, borrow, lease or rent? We’re here to help you find the option that will work for your unique situation.